On Dec. 3, a member of the team that investigated allegations that Sarasota City Auditor and Clerk Pamela Nadalini has been abusive of employees in her department stressed the urgency of the need for the City Commission to take action. Jennifer Compton said her recommendation was supported by the team’s findings, documented in a report released to the board on Nov. 30. Nonetheless, it took almost 80 minutes for the commissioners to take their first vote — a 3-2 decision to place Nadalini on paid administrative leave. they remained split on how best to proceed with resolving a situation that has been the focus of multiple discussions since late winter. Mayor Liz Alpert called for Nadalini’s immediate removal from the office, passing the gavel to Vice Mayor Jen Ahearn-Koch to make the motion. “I’ve heard from enough employees just personally who are very, very frightened about what will happen to them,” Alpert said, if the board did nothing. A process Commissioner Hagen Brody had suggested — allowing employees to comment anonymously on the three City Charter Officials prior to the board’s evaluations of those officials — led to numerous negative statements about the city auditor and clerk earlier this year. Along with Nadalini, City Manager Tom Barwin and City Attorney Robert Fournier are City Charter officials. Although past city commissioners had broached the topic of problems employees had related to them regarding Nadalini’s conduct, Alpert this year pressed her colleagues not to let the situation continue to fester. Finally, on Aug. 20, they agreed to allow Stacie Mason, the city’s Human Resources Department director, to hire a firm to look into the allegations. They then voted unanimously on Sept. 17 to approve a contract with the law firm of Shumaker, Loop & Kendrick in Sarasota to handle the investigation. The cost would be $30,000, Mason said. Nadalini’s actions, Compton pointed out — including “routinely [engaging] in retaliatory conduct” — have “exposed and continues to expose the city to liability.” Based on the interviews, Compton added, she and Duggan had concluded that a “toxic work environment exists” in the Office of the City Auditor and Clerk. “We find that resources such as executive coaching, leadership training or consultant expertise are unlikely to result in meaningful changes within the [City Auditor and Clerk’s Office] under Ms. Nadalini,” Compton and Duggan wrote in their report. Nadalini has been a city employee since 1985, city Communications Specialist Jason Bartolone wrote in response to Sarasota News Leader questions on Dec. 4. She was appointed city auditor and clerk on Feb. 25, 2010. After she received a satisfactory evaluation in March, her salary rose to $181,493.94 a year, Bartolone added. She and Duggan even arranged with the United Way to interview current city workers there, Compton added, in an effort to make them more comfortable in responding to questions. In spite of the report and Compton’s remarks, Commissioners Willie Shaw and Shelli Freeland Eddie insisted that they had heard only one side of the story. Although Compton reported that the team gave Nadalini four opportunities to address the complaints that had been lodged — twice at the beginning of the investigation, once in the middle of it and once more at the end — Nadalini had refused to meet with them, Compton said. City Attorney Robert Fournier had informed the team, Compton noted, that because the city would not provide legal counsel for Nadalini during such an interview, Nadalini chose not to make herself available. 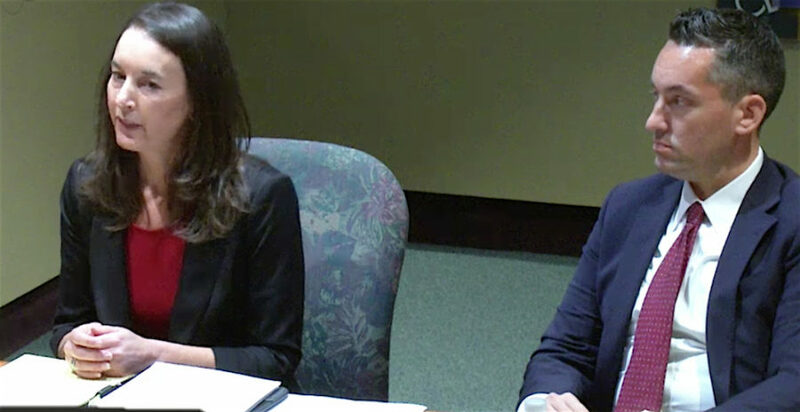 Following the vote to put Nadalini on paid administrative leave, Shaw made a motion to hold another discussion of the issues during the regular commission meeting on Jan. 7, 2019. “We would like to hear from her,” Alpert said, though she questioned whether Nadalini would address the report. Public comments also should be allowed, Fournier advised the board, as Compton and Duggan had recommended. Even if Nadalini offers no comments on Jan. 7, the commissioners will talk about their next steps, Shaw indicated in his motion, which passed 4-1, with Alpert in the minority. Then Commissioner Brody made a motion to name Deputy City Auditor and Clerk Shayla Griggs the interim City Auditor and Clerk. Alpert had suggested that Assistant City Manager John Lege serve in the interim position, as he is the city’s former finance director and the City Auditor and Clerk’s Office oversees city pension matters. Alpert voted “No” on Brody’s motion, as well. Brody seconded that motion, and it passed 4-1, with Shaw in the minority. Finally, Commissioner Freeland Eddie voiced the need for a formal process to be put in place to handle future situations in which a city Charter Official is accused of misconduct. City Attorney Fournier told Freeland Eddie that the commission might want to appoint members to a Charter Review Committee to discuss the issues and make recommendations. Such a committee typically is established every 10 years, Fournier added; the next review, on that cycle, is due in 2020. “It can’t wait till 2020,” Freeland Eddie replied. Freeland Eddie then suggested that Fournier research options, including what action the commission could take on its own and what changes in the City Charter might have to be made through referendum. When Fournier responded that he did not feel he could come back with such information by Jan. 7, 2019, Freeland Eddie suggested giving him 90 days. “Something like that,” Fournier told her, would be appropriate. One major reason for hiring the Shumaker, Loop & Kendrick team, Freeland Eddie pointed out, was to make sure the city would put appropriate procedures in place. She did not want the board members to forget that by allowing a long delay in considering changes, she added. The report Compton and Duggan submitted to the commissioners on Nov. 30 numbers 77 pages, including a variety of exhibits. Compton did discuss the lack of guidelines in the City Charter for dealing with complaints about Charter Officials. “That’s problematic.” The employees need a way to make complaints known, she added. Further, Compton said, the Charter does not call for the Charter Officials to follow the policies and rules and regulations of the city, even though she and Duggan understood that the commissioners expect the Charter Officials to do so. 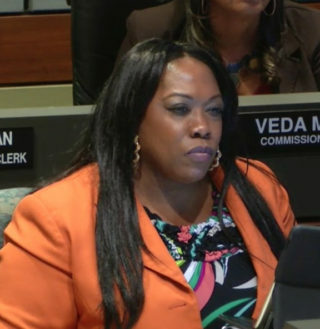 In regard to the Nadalini situation, Commissioner Shaw questioned Compton’s assertion that the city would be facing potential liability claims if it did not remove her from her department immediately. In her presentation, Compton referenced “liability that’s already been incurred by the conduct that has been found to have gone on in that office for a period of time” and continues. “The greatest concern is what happens if no action is taken, and there is retaliation taken against employees in that office. … The worst thing that can happen for the city is for retaliation to occur” after the commission formally has been notified of the problems in the City Auditor and Clerk’s Office, Compton pointed out. “I don’t say this glibly,” she added, as the report she and Duggan provided the board had made the issues clear. 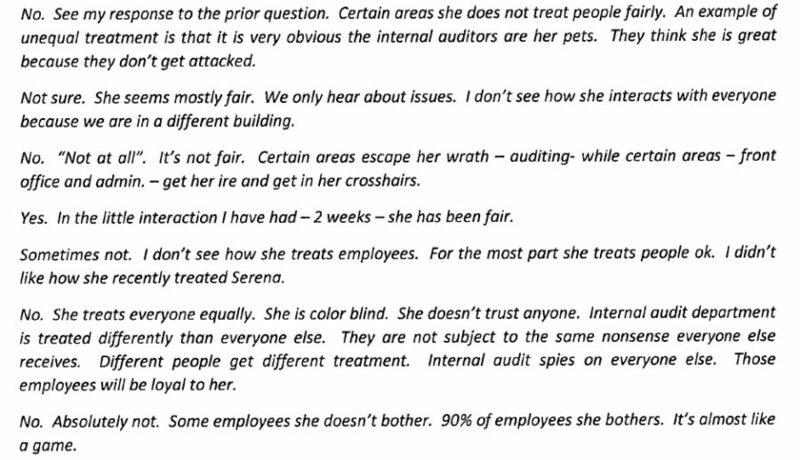 Alpert also expressed a concern that someone reading the report who knows the employees well in that office could figure out who had made which remark. Shaw later suggested concerns about impropriety in the coincidence of the Shumaker, Loop & Kendrick report’s being made public during the same week that an Equal Employment Opportunity Commission (EEOC) investigation was going on at City Hall in regard to a complaint lodged against Nadalini. Compton responded that the contract the commission approved for the firm specified that its investigation stay clear of the EEOC issue. Further, Compton said, she and Duggan had no knowledge of the timing of the EEOC investigation.